Constant is actually impressing me lately, certainly from an attacking standpoint. He hit three or four fanstastic crosses into the box against Ajax.He's strong and quick too, but i agree he is weak defensively. As for Zapata and Zaccardo. Zaccardo is back- up to Abate, so surely you don't mind him as a sub. He played well against Sampdoria, which are the kind of games he can be useful in. Abate was given an opportunity to be rested too, for the Champions League encounter. Zapata is a different story, because he is starting for us every week. As a sub, he would be fine, but not as a starter. I wasn't impressed by him last season, and felt we should have spent the money on a different centre back. He's much better than he's showing lately though. Agree with you 100 percent about Matri, we shouldn't have spent as much as we did on him[coming from a big fan of Matri}, but now that he is here, i think he will be a good alternative to our attacking options. Yes, he's started poorly, but he'll come good soon. I think constant has been our worst on field player so far this season. He has a different attitude to the one he had when he first joined, as if after we signed him outright he feels his place had somewhat been guaranteed and he can try out his off the street dribbles, he looks like a complete rookie and is clearly our most obvious weakness. Why not give all prices? I didn't agree with the sales of Balo and Cristante, but I get there's things going on. 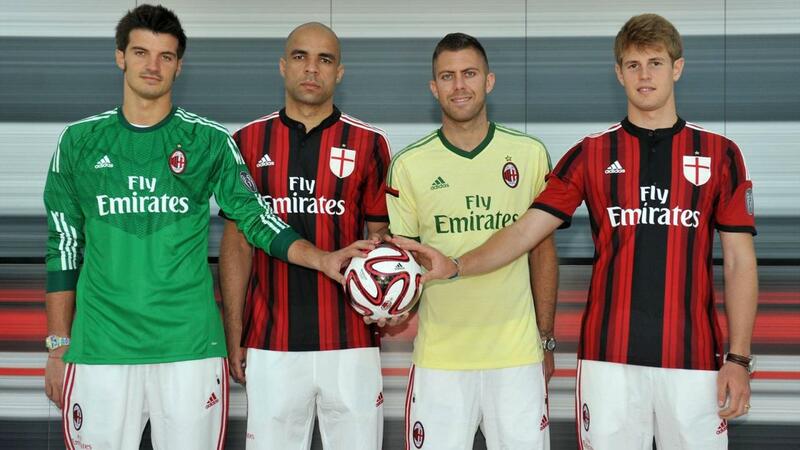 For Cristante though... even if he was aked to be sold, it raises some questions about Milan work with this guys. It's important to "raise" stars nowadays and we can't lose them so early. Anyway, besides it, putting things into perspective, Galliani did a hell of a job. He was basically asked to rebuild the team and still profit 20M while doing it - and he did it. Improvement in CB, GK and wings. Decent gambles for CF, CM and reserve LB. More or less all our needs attended. That also raise questions about or finances... We don't have CL football now, ok, but it's been 2 seasons since we drastically reduced wages and we still don't have money for transfers. Nice post yet I'm impressed that G has done fine so far; I'm ok with selling as he was not convinced with Milan plan and I can't blame him; he is young; naive and doesn't want to adapt with high work rate tactic of SP. I was completely against selling Crista but then later I realized maybe we want to give him. Vance to exploit outside of Italy and let him gain experience and play time so he can be ready to come back and lead out MF! Bona is a good signing and he will help us to produce more in the second part and help the strikers to have their full chances. Monty + NDJ + Bona + Poli can make a solid backbone for the coming four years hopefully when Crista and other Primavera MF with Mastoir can take the responsibility. For sure we need for a striker and MF in the future when we will participate in CL tournament but for this year ( SA & Coppa Italia ) we have very good and solid squad to win the titles against any team with the proper tactic and plan. Good luck for SP as i can't expect from him to win the titles because he is newbie in coaching but I can feel that he will achieve good results with his team. +1 to all points except the reservation about Balotelli sale. But I do as long as we are sticking with an effective plan and also the club are standing financial with independent and continuous mode. Loans are most of the time not an effective plan. Good team with some depth, but the issues have only been postponed until the start of next season... and next year there is no more Balotelli to sell to get a 15 mill profit. Van Ginkel kind of loans are even more ineffective. No buy out and we can't compete with Chelsea.